This is a really nice simple side dish that goes well with any grilled meat. Just toss everything together. 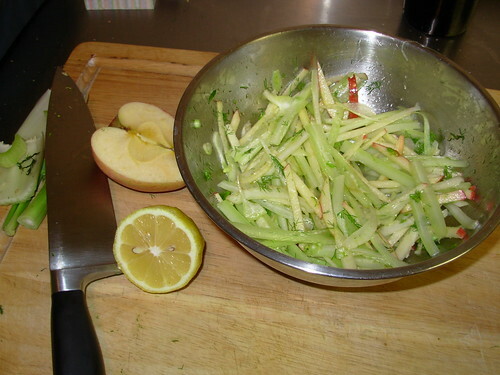 This is also great if you add in some thinly sliced fennel bulb and then use minced fennel fronds instead of parsley.